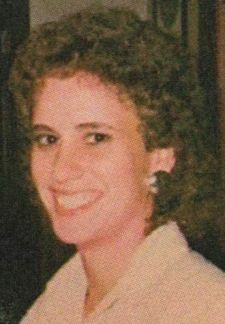 Connie Dickerson East, 53, of Cascade, VA passed away at her home surrounded by her loving family early Sunday morning. A funeral service will be held at 11 AM on Tuesday, September 4, 2018 in Fair Funeral Home Chapel with burial to follow in Dan River Primitive Baptist Church Cemetery. The family will receive friends, Monday evening from 6 -8 PM at Fair Funeral Home and other times at the residence. Mrs. East was born in the Leaksville section of Eden on August 23, 1965. She was of the Baptist faith and was a graduate of Tunstall High School Class of 1982. Connie was the office manager for Manuel Bail Bonding Company and also worked at Schewels in Reidsville. She was known for her kind heart for helping people. Connie enjoyed traveling but she especially loved traveling to the Beach. She will be greatly missed by all that knew her loving spirit. Left to cherish her memory is her beloved husband, Randy East of the home; three sons, Preston Lee East of Cascade, Michael William Spain, and Randy Steven Spain both of Eden; her mother, Betty Houchins Dickerson Towler; her sister, Rose Hammock Newbold and husband, Tom of Sebastian, FL; brother, William Ray Earl Hammock and wife, Cindy of Danville, VA; her nephews, Shane Manuel of Reidsville, Lewis Hammock of Ft Benning, GA., Josh Wike and Randy Harrison. She is preceded in death by her father, “Tink” Dickerson; son, Chris Spain and sister, Kimberly Wike. My heart goes out to my Uncle Randy and Preston ,Connie. Was a nice lady I enjoyed talking to she never talked bad about anybody God just got another angel. Randy, so sorry to hear about your wife. Praying for you and all your Family. Please accept my deepest condolences for your loss. My dad and her dad were friends years ago and I worked with her at Fieldcrest for a while. Ran into her at Schewels about 3 years ago - and she had that beautiful smile as she always did and such a sweet disposition! I know she will be missed. May God give you all comfort, peace, strength, and direction in the days ahead. So sorry to hear of Connie's passing. May the Lord wrap you in his loving arms and comfort you. I will be keeping all of you in my prayers! I am so sorry to hear about Connie passing. I work with her many years at Fieldcrest Cannon. She was the sweetest lady and love her beautiful smile. May God be with husband, children, and mother.